A quarter of the season has finished and we have some teams that have surprised us. No one thought the Atlanta Falcons would be undefeated at this juncture of the season. And to the surprise of everyone, the Falcons defense looks more solid than they have in a few years. On the flipside, there are some teams that have not reached the expectations that were set forth for them. The Eagles and the Lions come to mind when you think of teams missing the mark. Both these teams have combined for only one win as they try to figure everything out. And just like teams are trying to find themselves and figure things out, so are some players. Week Five could be the week teams and players figure it out. With that being said, let’s jump into the General Proclamations for Week Five. Indianapolis Colts quarterback Matthew Hasselbeck will throw for at least three touchdowns versus the Texans. He was solid in his last start for Andrew Luck and should be better this time around with who he is facing. The Texans have not exactly been great this season defensively and they could be a site for sore eyes Thursday night. Indianapolis Colts wide receiver Andre Johnson has been in a funk this season. But what better game to break out of it then to face your former team. Johnson will account for at least 100 yards receiving and will score one touchdown versus the Texans. He will be very hype for this game. Texans running back Arian Foster will rush for 100 yards versus the Colts. Indianapolis has shown that they can be run on and Foster will sure get to have his chances. Alex Smith has had a rough go of it the last couple of weeks. But the Bears are like sunshine on a cloudy day for him. Expect him to throw for at least two touchdown passes (one to a wide receiver) and he will even get to 250 yards passing. Chicago Bears quarterback Jay Cutler will not want to be overlooked in this one and will try to make some things happen. But unfortunately, he will make things happen for the Kansas City Chiefs. Cutler will throw at least two interceptions against a Chiefs secondary that has been struggling. This game ought to make them feel better. Justin Houston has been a monster for the Chiefs rushing the passer. This week, he goes on the prowl versus the Bears. And unfortunately for Jay Cutler, he will have a successful hunt of him Sunday, getting 2 sacks of the veteran quarterback. The Bengals have been solid defensively and the Seahawks offensive line has been subpar. That combination will lead to the Bengals getting at least four sacks. Russell Wilson will help the line avoid more than four sacks, but he cannot make all the Bengals miss. Seattle is iffy on Marshawn Lynch playing. So with that being said, quarterback Russell Wilson will be the leading rusher along with leading them in passing this weekend. He is a talented young man at quarterback and his skill is undeniable. And his playmaking is Fran Tarkenton-esque. Cincinnati running back Jeremy Hill got in the end zone last weekend and this weekend will be no different. The only difference is he will add 100 yards to that total. The second-year running back runs hard and is tough to tackle, which will prove a challenge to the Seahawks. The Atlanta Falcons offensive line has been better than advertised this year. With that being said, this will be the game that they give up at least two sacks. The Redskins have been solid defensively and the Falcons offensive line is due for a game where they show chinks in the armor. Redskins running back Alfred Morris is fan favorite, but he will not be a favorite this game for his team. He will not reach 50 yards rushing this game. The Falcons have been solid defensively and will continue to bring the pain to the Redskins offense. The Falcons offense will score over 30 points again. With the solid running game they now have and the weapons in the passing game, the Falcons may blow the roof off the Georgia Dome with the offensive display they will put on. TJ Yeldon had a 100 yard game last week on the ground. He has been solid in his performance and will continue to do so versus Tampa Bay. The Bucs are not great defensively and he can expose them. Tampa Bay quarterback Jameis Winston has had his ups and downs. And this game will be an illustration of that. He will throw at least one interception in this game. But he will also throw for at least two touchdowns. With the length he has at wide receiver and tight end, there will be a play made at some point. This game will have a lot of penalties. The Bucs don’t play the prettiest brand of football and neither do the Jaguars. Both will battle hard, but there will be at least 10 penalties per team in this one. New Orleans running back CJ Spiller got it going last week for the first time all season. And in this game, he will pick up where he left off. Spiller will get at least 100 all-purpose yards in this game and will add a touchdown to top all that. Philadelphia caught fire for a second last week versus the Redskins. This week they will capture a little bit of that fire against the Saints. Sam Bradford will throw at least one long bomb for a touchdown in this game. Both sides will not have a 100-yard rusher in this game. The Eagles have struggled to create lanes for any of their backs this season and the Saints just seem to never leave one back in there enough to get close to 100 yards. The running game will be ugly folks. The Cleveland Browns refuse to go with Johnny Manziel at quarterback. And in this game, they will continue to deny him playing time. Josh McCown will throw for two touchdowns and one interception as the Browns starter. And his interception will more than likely be a costly one. The Baltimore Ravens have been getting their running game going and this week they keep that momentum going. Running back Justin Forsett will run for at least 100 yards and will score one touchdown as well. The Baltimore receivers will more than likely be down Steve Smith this weekend. Look for receiver Sam Aiken to step up and make a few plays, including a long gain of over 30 yards. 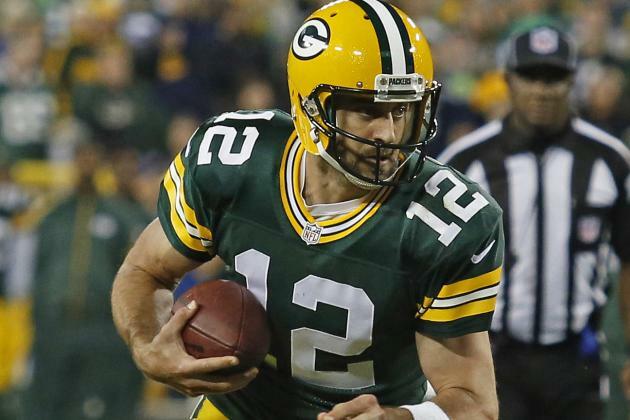 Green Bay quarterback Aaron Rodgers and his offensive squad were not as sharp as they usually are last weekend. Well, this weekend it will not get any better. He will get sacked at least 4 times this week and he will also get intercepted at least once against the Rams physical defense. The St. Louis Rams found a running game last week versus the Arizona Cardinals. And this week, they will find it again. Running back Todd Gurley will rush for 100 yards again but will score a touchdown this time. Green Bay’s defense may get gashed in the running game, but they will make some plays when Nick Foles throws the ball for the Rams. Look for Foles to throw at least two interceptions and one of them will go back for a touchdown for the Packers. Buffalo’s offense looked pretty bad last weekend versus the New York Giants. Well, this week they look good against the Titans. Expect quarterback Tyrod Taylor to lead this offense to at least 25 points while they get all the kinks worked out from last weekend. Tennessee Titans quarterback Marcus Mariota has been solid but he is due for a bad game. And unfortunately for him, the Bills are that bad game. The rookie from Oregon is facing a Buffalo defense that is not very happy with how they played last weekend and they will be looking to take that out on Mariota and the Tennessee offense. Look for Mariota to throw at least two interceptions. Speaking of Buffalo’s defense, they are due for a good game. And this game will be it. Look for them to get back to their sacking ways, getting at least three sacks while giving the Titans offensive line fits. The Lions will not have a 300 yards of offense. The Cardinals are probably not very happy with how they played last weekend versus the St. Louis Cardinals. Look for them to get back to their dominant ways this weekend by stifling an inept offense that is struggling as it is. Arizona running back Chris Johnson was looked at as damaged goods after he was released by the New York Jets. Well, he was picked up by the Cardinals after thoughts of retiring and has revived his career. Look for him to continue looking solid running the football as he gets 100 yards rushing and two touchdowns. The Detroit Lions played well Monday night defensively. But this week, they get back to reality. The Cardinals will get it going again offensively and Larry Fitzgerald will catch a long pass over Lions cornerback Darius Slay. The Dallas Cowboys get defensive end Greg Hardy and linebacker Rolando McClain back this week. And with that, both will have a positive impact. Hardy will have at least one sack in his first game back and McClain will have at least 10 tackles. The Patriots have been on a mission since the season began. And this game will send another statement to everyone. The Patriots will register at least 38 points against Dallas in the house that Jerry built. Brandon Weeden will have to pass for the Cowboys to win. And when he does, Bill Belichick will go to work. Look for Weeden to throw at least three interceptions and prove to us all that he may not be the guy to step in for Tony Romo. The Denver Broncos have not had anyone step in and take over the running game. This week, that all changes. Running back Ronnie Hillman will take over the position and get at least 100 yards versus the Raiders this weekend. Oakland wide receiver Amari Cooper has been special this season. But in this game, he will come back down to earth. He will have only two catches in this game and will not go over 60 yards receiving. Peyton Manning will have two touchdown passes and no interceptions. Last weekend he had two interceptions and that was uncharacteristic of him. San Francisco has had a rough few weeks offensively. This week they get off the schnide a little bit. Look for the 49ers to score at least 20 points versus the Giants in New York. Eli Manning has had some good games against the 49ers and he also has had a clunker like he did last season. Look for him to get it going in this game a little with at least two touchdown passes, with one going to Odell Beckham Jr. The Giants and the 49ers have been erratic rushing the passer. In this game, both team will get at least three sacks. The pressure will be on for both quarterbacks to find their pressure outlet quickly. 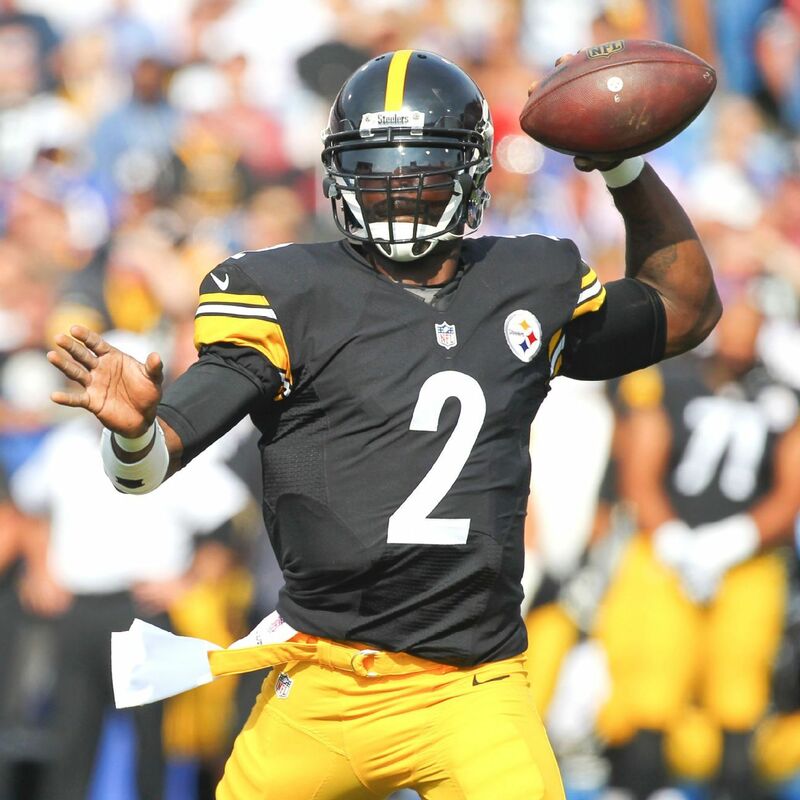 Steelers quarterback Michael Vick was not as sharp as he needed to be last week filling in for Ben Roethlisberger versus the Baltimore Ravens. This week, look for his best friend to get going: the running game. Running back Le’Veon Bell will get at least 100 yards and one touchdown. San Diego gets tight end Antonio Gates back this weekend. And he will waste no time making it happen on the field. Look for him to score a touchdown and also have about five catches as Chargers quarterback Phillip Rivers will be looking his way. Pittsburgh will go for two at least once in this game. Looking at the matchup and thinking on who their coach is, he will give it at least a try. And it will probably upset some Steelers fans when he tries that two-point play and misses it. Week Five is upon us and there will definitely be some exciting games going on. But there will be also be some exciting plays. It will be fun to see what happens. Week Three of the NFL gave most of us a clearer picture of what to expect from our teams. Some loved what they saw while others were not as happy with the product their teams put on the field. Nonetheless, the season goes on and so do the players that play the game. And sprinkled in these good and bad performances were some players who showed up unexpectedly and others that shrunk in the limelight. Without any further hesitation, here are the General’s Proclamations. Ben Roethlisberger went down last week with a knee injury and Michael Vick stepped in and finished the game for the Pittsburgh Steelers. Even though he was not impressive, he will be this week. The Ravens secondary is ripe for the picking and Vick is ready to star for Big Ben this week, throwing to “Downtown” Antonio Brown and crew. Vick will throw 3 touchdown passes and will throw for 250 yards. And one of the touchdown passes will be to running back Le’Veon Bell. The Pittsburgh defense is starting to find itself. And this week they will unleash carnage on the Ravens offensive line. They will get at least 4 sacks this Thursday versus the Ravens and quarterback Joe Flacco. Baltimore may lack in the pass protection this weekend, but they will still make some plays. Wide receiver Steve Smith is still a playmaker out there. And this week, he will make some plays against the Steelers’ secondary. He will account for at least one touchdown even though he will be under 100 yards. The New York Jets floundered last week and quarterback Ryan Fitzpatrick was not as good as he had been. The Jets hope he rebounds this week, but it will be an uneven performance. He will throw for two touchdowns, but he will also have an inexplicable interception that no one will understand. The Dolphins were embarrassed last week and their big-money defensive player, Ndamukong Suh, was missing in action. There was even talk that he went rogue defensively out there. Some may wonder what he will do this week to atone for that talk. That’s simple: Nothing. He will be the biggest decoy on the field this week, not recording a sack and maybe a tackle or two. Nothing more or nothing less. The Miami Dolphins offense did not show up last week either and this week they show up with some pride maybe. Their leader, quarterback Ryan Tannehill, will show up this week. He will run for a touchdown and also throw for a touchdown. But he will not reach 250 yards passing in this one. Indianapolis Colts quarterback Andrew Luck led a comeback against the Tennessee Titans last weekend as the Colts escaped going 0-3. This week, a little less drama as Luck does not throw an interception against the Jaguars. Jacksonville Jaguars quarterback Blake Bortles is still trying to prove himself as an NFL quarterback. One player that can help him do so is wide receiver Allen Robinson. The young wide receiver out of Penn State will give the Colts’ secondary fits as he cruises for 100 yards and a touchdown. Indianapolis has struggled bringing pressure defensively this season. They got off the mat a little last weekend with some pressure on Tennessee quarterback Marcus Mariota. Well this week, they make a few things happen to the tune of three sacks as a team. Not a dominant performance there but it will show some consistency in bringing pressure. Tyrod Taylor got his mojo going against the Miami Dolphins last weekend. This weekend he continues making things happen as he takes advantage of the New York secondary. He will get at least 300 yards passing on them this Sunday. Looks like the Bills may have found their quarterback. 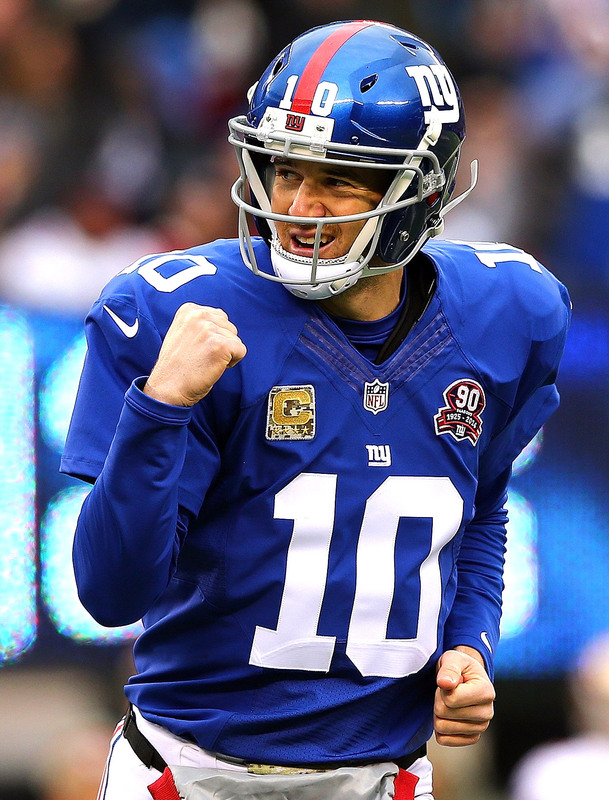 Eli Manning, not to be showed up, will make some things happen this game as well. The veteran quarterback for the Giants will have two touchdowns running this weekend versus the Bills although he will throw an interception that will accompany those touchdown passes. The Buffalo Bills defense was proclaimed as a tough defense that would give quarterbacks problems. Well, this week they will give Eli a slight problem. They will only get two sacks against the Giants. Cam Newton has been great for the Panthers this season. And against the Bucs, he will continue to thrive. He will actually do damage more with his arm than his legs. He will throw for 250 yards and three touchdowns. Tampa Bay Buccaneers running back Doug Martin has been inconsistent since he burst on the scene his rookie season. And in this game, he will prove to be inconsistent yet again. Martin will have some good runs in this game, but he will once again fail to reach 100 yards and the endzone. Tampa Bay’s defense will give up 35 points to the Carolina Panthers. It may seem crazy since the Panthers are not a prolific offense. But look at the Tampa defense. They may have played solid the last two weeks, but we all know it is entirely possible that they can revert back to their Week One performance. 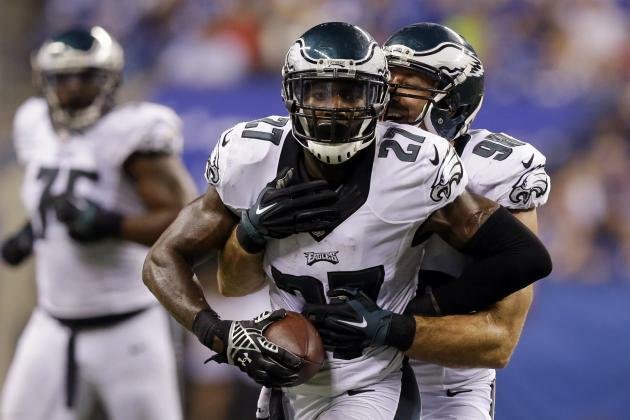 The Philadelphia Eagles have been sputtering offensively all season long. Well, this week the sputtering continues. They will not score over 20 points this week at all. And with this performance, the Sam Bradford questions will come up again for another week. The Eagles may be struggling offensively, but it isn’t like the Redskins have made it happen offensively under quarterback Kirk Cousins. A continuation of last week may end up happening as the Eagles defense has not been completely bad this year. He will throw at least two interceptions and Walter Thurmond will be the player that picks off one of his passes. This game will go into overtime. Both teams have not found themselves and it is not for certain that either will find themselves the whole year. But in this game, both will definitely find themselves in overtime trying to salvage a win in this game that will be tough to watch. Wide receiver Amari Cooper has been sizzling the last two weeks on the field for the Oakland Raiders. The Bears have been cold as in bad the whole season. With that being said, Cooper will continue to sizzle this week against a Bears defense that cannot stop anyone. He will have another 100 yard game and score at least one touchdown. Chicago failed to score a point last week with quarterback Jimmy Clausen at the helm for Jay Cutler. This week if Clausen starts, he will get the Bears in the endzone and they will score a total of ten points. That is a nice improvement, but not one that will help them win the game. Khalil Mack is a talented pass rusher that the Raiders are just learning how to use. In this game, he will definitely be the Mack of the Bears as he pimps he way around the corner of their offensive tackles and gets to paydirt three times. It’s going to be a long day for the Bears and their offense. The Houston Texans have been wanting Jadeveon Clowney to break out and this week may be the game he does so. He is closer to home and he may be wanting to show off in front of them. He will get his first two sacks of his career in this game. Julio Jones has been a monster on the football field this year. And many wonder what he will do next. This week he will catch 10 passes and approach 200 yards receiving. The sky is the limit for him and he is definitely putting on a show. The Atlanta Falcons will let the Houston Texans take a 10 point lead on them before coming back and winning this game. For some reason, the Falcons like to come from behind and win games. And this week will be just more of the same from them. Alex Smith through the first receiving touchdown to a Kansas City wide receiver in forever last Monday versus the Green Bay Packers. In this game, he will get back to his usual and completely ignore the wide receivers. Look for him to connect with tight end Travis Kelce twice for touchdowns while not throwing for more than 200 yards. Cincinnati quarterback Andy Dalton has been solid this season. But he is due for a blip on the radar screen this year and this game is it. He will throw two interceptions this game versus a secondary that he should light up. Kansas City Chiefs running back Jamaal Charles is one of the best in the NFL. But this week he gets showed up by Bengals running back Jeremy Hill. The former LSU Tiger will outrush Charles by at least 50 yards and he will score a touchdown as well. The Cleveland Browns will not score over 20 points. Although this team denies there is no rift in the locker room over players wanting Johnny Manziel to start, it is obvious that he is needed in this offense at this point. Besides, they may as well find out what they have in him (or don’t have). Either way, look for Josh McCown to struggle mightily as he will rack up meaningless passing yards if they are down in the fourth quarter. San Diego Chargers quarterback Phillip Rivers did not do so great last weekend. In this game, he atones for that. He will throw for 300 yards and 3 touchdowns in this game as he gets back on the right track. San Diego outside linebacker Melvin Ingram has been very active the last few games and this game will be no exception. The former South Carolina Gamecock will have three sacks in this game and wreak havoc on McCown all game long. Green Bay’s Aaron Rodgers has been lighting up defenses this year. And in this game, he has to be licking his chops. But Eddie Lacy may be the one feasting this game. He will get 100 yards rushing in this one. San Francisco quarterback Colin Kaepernick had one of his worst games as a professional last weekend with four interceptions. But one thing about Colin is he’s resilient. Look for him to have at least one touchdown running and one passing as he throws for at least 225 yards and accounts for at least 50 yards on the ground. The Packers and the 49ers will have 100 yard receivers in this game. Torrey Smith can and will make some plays this game and so will Randall Cobb for the Packers. These two could make some highlight plays in this one. St. Louis Rams defensive tackle Aaron Donald has been solid this year. And in this game, he will definitely make some plays. Look for him to come up with at least one sack and one tackle for loss. The Cardinals have been solid offensively this year and this game will prove to be the same type of one. But the guy that will get it going in the passing game is wide receiver John Brown. The former Pittsburgh State wide receiver has speed to burn and the Rams are about to find out just how fast he is as he burns them for a big touchdown. He will go for 100 yards receiving and a touchdown. The Cardinals will put up at least 35 points in this game. Their offense is just that much better than it was last season. And the Rams will be the latest to experience the growth in their offense. The Vikings have been looking better offensively the last couple of weeks. Well, this week is the exception to that progress. The Vikings will bear witness to the stress that Von Miller and DeMarcus Ware can put on offenses. And as a result, the Vikings will allow four sacks at the last this week. Adrian Peterson has been running the football better. He will get 100 yards, but he will get them dominantly in one half of the game. The first half will hold all or most of his yards. He will also score one time on the Broncos defense. Peyton Manning will throw for four touchdowns and one interception versus the Vikings. Manning will throw one inexplicable interception that we all will wonder about, but he will right the ship with a couple darts out there to Emmanuel Sanders and company. The Dallas Cowboys are without wide receiver Dez Bryant and quarterback Tony Romo. All the offense is on the shoulders of the offensive line and back quarterback Brandon Weeden. So with that being said, look for running back Lance Dunbar to be the leading receiver for the Cowboys against the Saints with a little under 100 yards. New Orleans has had some offensive issues of their own going on. And with Drew Brees unhealthy, the team will lean on running back Mark Ingram. The former Alabama running back will have at least 100 yards rushing against the Cowboys. This game will have both teams scoring in the 20s. Both have had defense fail them and offense fail them too. This game will provide some issues for both defense and the offenses will find some kind of rhythm to make them pay. The matchup everyone is looking forward to seeing is Detroit’s Calvin Johnson versus Seattle’s Richard Sherman. In this one, look for Johnson to score a touchdown on Sherman, but Sherman and the Legion of Boom will have more of the upper hand in this one eventually. The Detroit Lions will not rush for over 100 yards. The team is trying to run the football but it just will not happen versus the Seahawks, especially since the Lions are on the road. The Detroit Lions will lose this game by 20 points. The Seahawks just don’t have enough to make this game close. The Seahawks will piddle around for a little while, but when they drop the hammer, it will be over just that quick. Week Three is here and the proclamations are in. Let the game begin and let the big performances happen. The first week of the NFL session is in the books. There were some great things that happened and some bad things as well, depending who you were rooting for. And there were also some teams and players that did some things no one expected them to do. And that is what makes the game so special and so fun to watch. Along with that, predicting things that happen makes it even more exciting to watch. With that being said, Week 2 bring the debut of The General’s Proclamations for Week 2 in the NFL! The Kansas City Chiefs will give up at least five sacks. 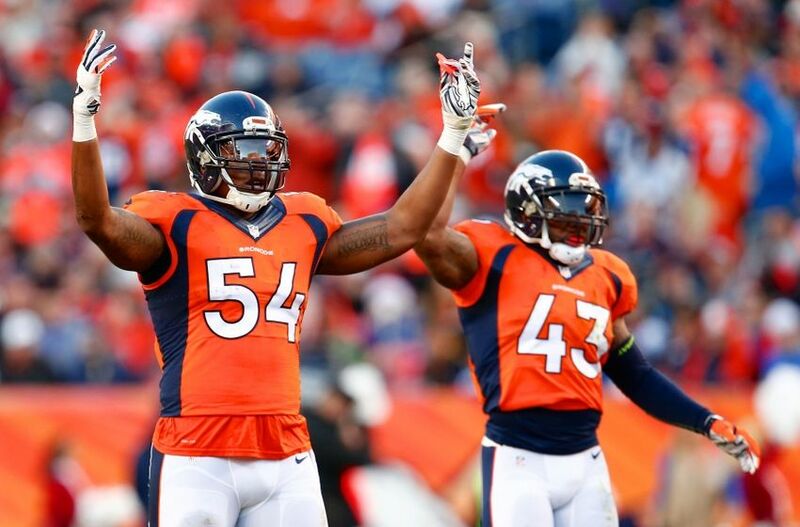 The duo of DeMarcus Ware and Von Miller strike fear in every opponent. Giving them defensive coordinator extraordinaire Wade Phillips is almost illegal as he can dial it up from any angle. With that being said, Alex Smith may be spending a lot of time looking up at the sky on Thursday night. Peyton Manning will throw for three touchdowns. We have heard all week about how Peyton Manning does not look the same. And believe it or not, Manning has been hearing the talk surrounding him. Like many great players, he wants to respond and send a message. And unfortunately for the Kansas City Chiefs, they are standing in his way. The Kansas City Chiefs will not have a touchdown by a wide receiver. The Chiefs were known last season for their scoring futility from their wide receivers. Free agent Jeremy Maclin was productive last week but did not get in the endzone. And I expect this week to be the same with Maclin and crew going against the cornerback combination of Aqib Talib and Chris Harris. The Denver defense is tough! The Houston Texans will not score over 14 points. This team has issues at quarterback and running back. The uncertainty at both positions will make it a long day for them against a stingy Carolina defense. 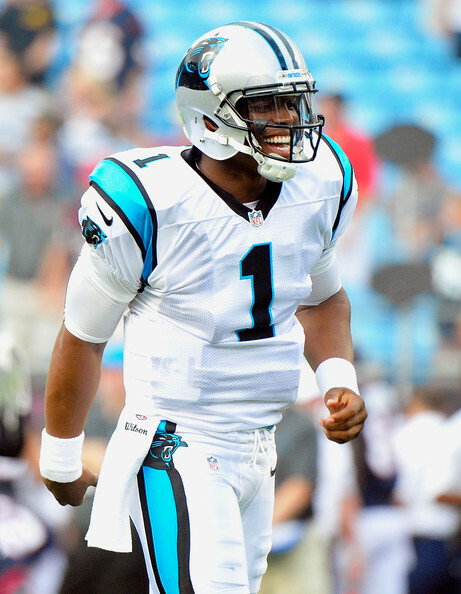 Carolina quarterback Cam Newton will score a touchdown passing and rushing this week. Look forward to seeing the Superman celebration at least once as Newton will guide his team to the endzone a few times. JJ Watt will have at least two sacks. Cam Newton is going to have some success against this defense. But there is no denying that Watt is the single most destructive force in football defensively. You can try to contain him, but he will always be there to make plays. 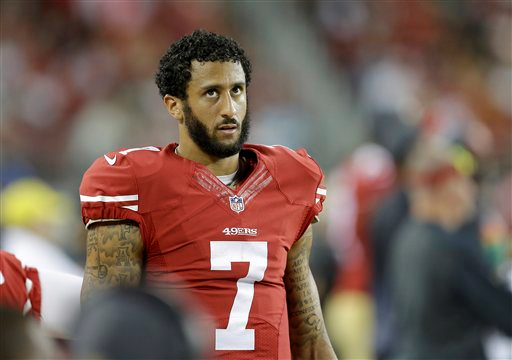 The Steelers will give up three passing touchdowns to 49ers quarterback Colin Kaepernick. Kaepernick looked comfortable climbing the pocket and moving outside the pocket while making some nice throws. He still has some work to do, but he is looking as mechanically sound as he has in his career. Throw in that the Steelers secondary is having some issues and he could be in for a good day throwing the football. The 49ers defense will give up at least 24 points. For as impressive as the 49ers defense was last week, they face an upgraded offense this week in Big Ben Roethlisberger and the Steelers offense. Antonio Brown will make some plays and so will tight end Heath Miller. And if the Steelers are able to block up the blitzes of the 49ers, there could be some big plays to be had. Carlos Hyde will again have over 100 yard rushing. The second-year back out of Ohio State showed more than many thought he would. Hyde’s ability along with the seemingly renewed focus on the 49ers to the running game could cause some issues for Pittsburgh defensively. Tampa Bay will give up 40 points again this week. The Tampa 2 Lovie Smith still runs is outdated. It requires speed the Bucs do not have. With the speed New Orleans has offensively along with Drew Brees running the show for them, Tampa Bay fans may be looking for the Pepto Bismol for an upset stomach courtesy of Brees and the Saints’ offense. Tampa Bay Bucs quarterback Jameis Winston will have a better game than last week. Winston looked less energetic and not very ready for the game last week versus the Tennessee Titans. This week he comes out with energy. It may not be enough to win, but he will look better against the Saints along with being more energetic. Mark Ingram will have over 100 yards rushing. The former University of Alabama running back is finally the feature back for the Saints. And against this defense, he should find plenty of creases to make some things happen. Lions quarterback Matt Stafford will have less than 300 yards passing and will throw two interceptions. The veteran signal-caller from Georgia seemed off toward the end of the game last weekend and this weekend he faces a Vikings defense that will be ready to rumble after the results in San Francisco Monday night. This one could get ugly for Stafford. Minnesota Vikings running back Adrian Peterson will have at least 25 carries against the Lions. The Lions will not be let off the hook this week, as it is expected that Minnesota will give Peterson many chances to make things happen against the Lions. And with more carries, expect Peterson to eventually break off a big run. Blair Walsh will make all his field goal and extra point tries in this game. Walsh has been inconsistent at best for a while, but maybe this game is when he gets it back on track. For Minnesota, they better hope he does. Arizona Cardinals quarterback Carson Palmer was solid last weekend in his first regular season game after tearing his ACL last season. This week he continues his big return against a hapless Bears secondary that is ripe for the picks. He will pile up three touchdown passes against the Bears. Bears quarterback Jay Cutler is one that is hard to read. But what isn’t hard to read is his inconsistent play. Expect that to continue as he throws at least three interceptions and helps the Bears to their second loss of the season. 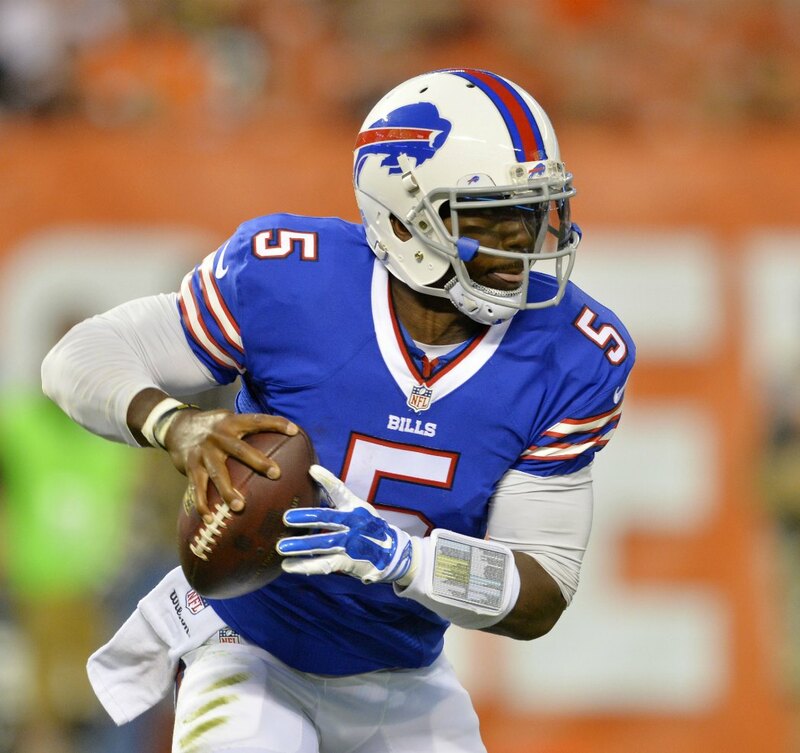 Bills quarterback Tyrod Taylor will have 2 touchdown passes and have 275 total yards of offense. Taylor was the man last week for the Bills at quarterback. And this week it will continue as the Bills will be flooring it down the field with Taylor at the helm. And the backup-turned-starter will be the point guard of this offense, distributing while also taking some things upon himself. New England quarterback Tom Brady will throw for two touchdowns but also will be sacked at least four times. The Buffalo Bills have one of the most feared pass rushes in football. Expect the Bills to unleash a little bit more of that and then some when the Pats come to Orchard Park. Rob Gronkowski will have under five catches in this game. Although one of his less than five completions will be for a touchdown, there will also be some well-defended plays by the Buffalo defense. 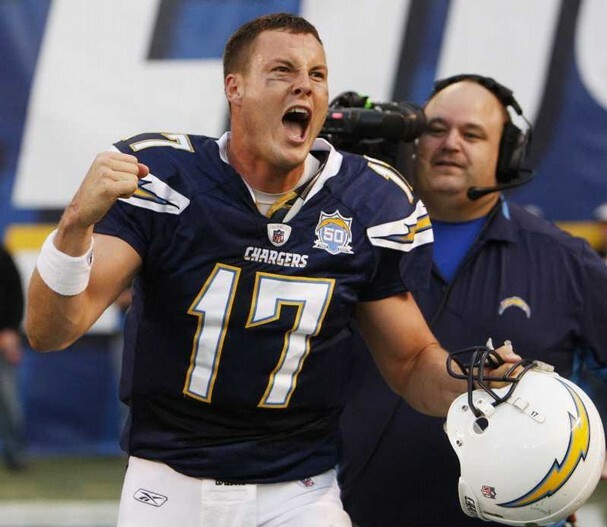 San Diego quarterback Phillip Rivers will have at least 3 touchdown passes and 300 yards passing versus Cincinnati. The veteran quarterback led a good comeback last weekend and this week he faces the Bengals, who beat up on another California team, the Oakland Raiders. It may seem like a tall order considering the Bengals’ defense, but Rivers is that talented when it comes to regular season play. Cincinnati Bengals running back Jeremy Hill will be a 100 yard rusher with a touchdown this Sunday. The former LSU product runs tough and with speed and that can cause defenses headaches. And on Sunday, there may be a migraine waiting called Jeremy for the Chargers. Jacoby Jones will have a special teams touchdown. The former Baltimore Ravens wide receiver/ returner still has speed to burn and can make the best of any return. Look for him to electrify this crowd in Cincy when he gets his hands on the football. Cleveland’s Joe Haden will have an interception of Marcus Mariota in this game. The rookie quarterback out of Oregon was sensational in his first game. But when facing one of the best in the NFL at the cornerback position, Haden may give him a welcome to the NFL. Tennessee running back Bishop Sankey will get to the 100 yard mark this weekend. If he can hit the hole quick and be decisive in his cuts, he will benefit from all the attention Mariota will get. And he just might break a long run to go along with his 100 yard performance. And to throw the icing on the cake, he will also score a touchdown this weekend. Johnny Manziel will throw and run for a touchdown versus the Titans. Of course that does not mean he will not have any turnovers, but with a full game, he will have some time to make some things happen. Whether he can make more positive things happen than negative will be the question in this one. Rookie defensive end Vic Beasley will get two sacks in this game. With a hobbled Ereck Flowers vowing to start this weekend, this battle will be one that takes both Beasley and Flowers back to college (Flowers went to Miami and Beasley went to Clemson). Beasley is fast off the corner and that means he will definitely be giving Flowers issues. Manning may be looking at the sky a few times in this one. Wide receiver Odell Beckham Jr. will be better in this game. He will get 100 yards receiving along with one touchdown. And to top that off, he will make that one spectacular play that will have all of us talking after this one. And just for good measure, he will be dancing into the endzone at least once. Falcons quarterback Matt Ryan and wide receiver Julio Jones will combine for at least two touchdowns. This duo has been torching defenses for a while now and this week will be no exception. Jones has the advantage against any defensive back from the Giants. Rams wide receiver Tavon Austin will have one touchdown through the air and one touchdown rushing the football as well. The former 1st round pick out of West Virginia is finally starting to realize his potential and this week his progress will continue. Washington running back Alfred Morris will not get over 70 yards. Morris played well against the Dolphins last week, but this isn’t the Dolphins. The Rams have a physical front seven and two young physical defensive tackles in Michael Brockers and Aaron Donald. That combination spells trouble for Morris. The Redskins and Rams will combine for under 40 points this weekend. Both teams were very solid defensively last weekend and both offenses aren’t exactly great either. That should make for a game that becomes a defensive battle for the most part. Jacksonville Jaguars running back TJ Yeldon will rush for over 100 yards. The former Alabama running back will more than likely get more opportunities this week after averaging four yards per carry when his number was called. And with what Alfred Morris did to the Dolphins last weekend, I expect this rookie to make some noise as well. Miami Dolphins wide receiver Jarvis Landry is obviously the best playmaker for this team. But this week, he will take a backseat to the veteran wide receiver that flanks him, Greg Jennings. The vet wide receiver will not make the flashy plays that many have known him for over his career, but he will be solid and give the Dolphins at least 1 touchdown along with around 75 yards receiving. If Jericho Cotchery can get some decent numbers against the Jags, then Jennings can as well. Neither quarterback will throw for more than one touchdown. Tannehill and Bortles are both going to be solid, but don’t expect anything spectacular from them in this one. The Baltimore Ravens did not do well offensively last weekend. Well, the Raiders are a sight for sore eyes and their offense. Baltimore will follow up on what Cincinnati did to the Raiders last week and put up at least 30 points. It may take a while for head coach Jack Del Rio to implement what he wants out of his defense and the obliteration of their defense will be a byproduct of that until otherwise. Raiders quarterback Derek Carr will throw for at least two touchdowns this weekend. The Raiders looked deplorable offensively last week and some of that can be attributed to Carr getting hurt. But Del Rio said he expects him to be in there this weekend and that will be a welcomed sign for the Raiders. Ravens running back Justin Forsett will continue to struggle this weekend. Although the Raiders defense is totally different than the Broncos, the Ravens’ offensive line seemingly has not got it together just yet. And that does not spell success for Forsett at all. He will barely get 60 yards rushing. And he will not reach the endzone either. Cowboys quarterback Tony Romo will throw the ball 40 times in this game. The Cowboys came out last week and went away from what they did all last season to be successful: run the football. But in doing so, they won. I expect them to come out trying to do the same thing they did in Week One since they don’t have a dependable running game and Romo is their best offensive weapon. One way or the other, he will throw for over 300 yards and will have at least two touchdowns. Philadelphia running back DeMarco Murray will have 100 yards rushing this weekend. He struggled mightily last weekend versus the Atlanta Falcons. I don’t expect Murray and the Eagles offensive line to have another subpar one in the running game. Murray also collects on one more touchdown this week to run his season total to three. The Philadelphia Eagles will have at least two turnovers this week. Last week they forced some action defensively despite some issues they were having. And with Romo having to throw the ball more again for the Cowboys to win, some interesting things can happen for them once again. Running back Eddie Lacy will get 100 yards and one touchdown this week versus the Seahawks. The former Alabama running back has been electric since he first arrived in the NFL and this week he gets to test his skills against one of the best defenses over the last few seasons. Seattle running back Marshawn Lynch will not get 100 yards rushing this game. 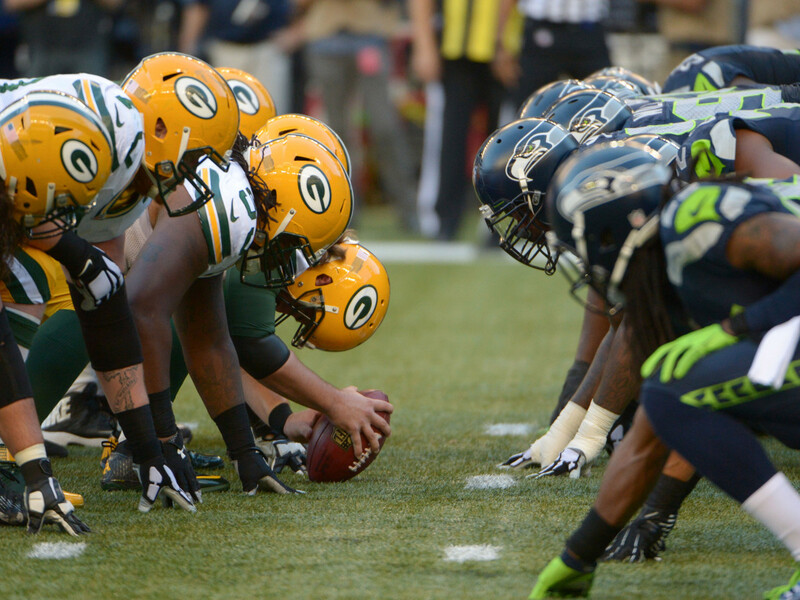 The issue is not Seattle’s veteran running back but his offensive line. They have not been the greatest up front and it will take some time for them to gel. This may gel as the season goes on, but they will not get it together in this game. Dion Bailey will play a little better than last week. Kam Chancellor’s understudy was pretty bad last week and some say he could have been nervous. Well, this is the week he has to prove it must have been nerves and although he will play better this week, his better performance may not be to the level Bailey needs. The New York Jets will not be as dominant as they were last weekend. In the end, we have to remember they played a Cleveland Browns team that lost their starter at quarterback early and looked shellshocked ever since then. They are playing against one of the best young quarterbacks in the league in this one and they will be looking to rebound from the awful performance they had in Buffalo last weekend. Jets quarterback Ryan Fitzpatrick made just one mistake through the air last weekend. Although the Colts were not very good defensively versus the Bills, the desperation of not wanting to face an 0-2 record will make them play better on that side of the ball and create havoc around Fitzpatrick. And when that happens, expect Fitzpatrick to have his hand in at least 3 turnovers. But as Ryan Fitzpatrick struggles, running back Chris Ivory will continue his success in green and white. Ivory runs hard and with purpose and that should lead him to at least 100 yards and one touchdown. Week Two is upon us and the General’s Proclamations have been made. Let’s see how they all turn out.